﻿﻿Helping orphans and other similarly disadvantaged children in the developing world through education and health and safety initiatives. 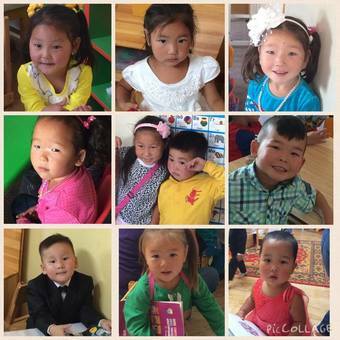 At the moment we are helping children in Mongolia and Malaysia. Not quite a "shot" but a wonderful conversation between Julie, our Veloo Foundation VP and prominent Mongolian journalist, Jargal DeFacto. A great overview of why we do what we do, the progress that we've made and why it is so urgent that we continue pressing hard to stop the problem of scavenging to survive before it becomes generational. We are thrilled to be able to report that the 2017 / 2018 school year is off to a great start! 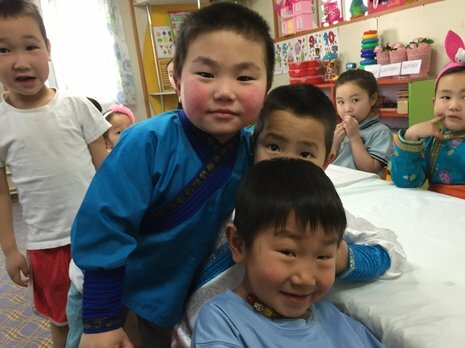 We have 150 children at the kindergarten and with the continued support and assistance from Wagner Asia our School Bus is up and running and we are able to bring 28 children from the other side of the garbage dump to be fed, safe and warm! There is tremendous need on the other side of the garbage dump for another kindergarten as the number of children scavenging in the trash or home alone far exceeds our ability to bus them to our kindergarten - which is why we're building a second kindergarten. For full details of our new kindergarten and access to our donation portal to be part of the team that is making a difference to the children, please visit our New Kindergarten Info page! For all our other news, including up to date videos and current photos, please visit our Sponsors' Update page. The 2017 school year starts with 150 children! Each child costs $125.00 / mo. to feed, shelter, educate and protect. To make this increase sustainable we are proud to provide you with an opportunity to become part of our team! We are thrilled to introduce you to our Monthly Sponsorship Program! Commit to a monthly donation (see below) and you will receive an original art card courtesy of one of our very own mini artists, a photo of one or more of the children from the kindergarten that you can tack on your fridge, pin up at work or slip into your car's visor so that you will be reminded on a daily basis of the wonderful, positive impact you are having on these children and quarterly updates with lots of photos to show you what's been going on up at the Peak. Give a sponsorship in a friend or loved one's name and we will mail them (or you if you prefer) a lovely card to show them that a donation in their name has been made. We'll include a snapshot of the children and put them on the quarterly update list as well if you provide us with their email address! Take a moment to check out the slideshow and video presentation below and you'll see what it's all about. For more videos about the Sanctuary Kindergarten, check out our Recognition page. One thing to keep in mind, as always 100% of all donated funds, every penny, goes to help the children. Any operating expenses for Veloo Foundation we cover personally. ​We think it's the right thing to do. Take a moment to watch the videos below to see where your donation & sponsorship funds go. Prefer to pay by cheque or automatic bank transfer? Contact us! Meet Some of our 150+ Children!! Interested in our financials? Check out the Canadian Charities Registration Here and you can see our most recent tax year's financial breakdown. ​Check out some of the other folks that we're helping with our ongoing community outreach initiatives!